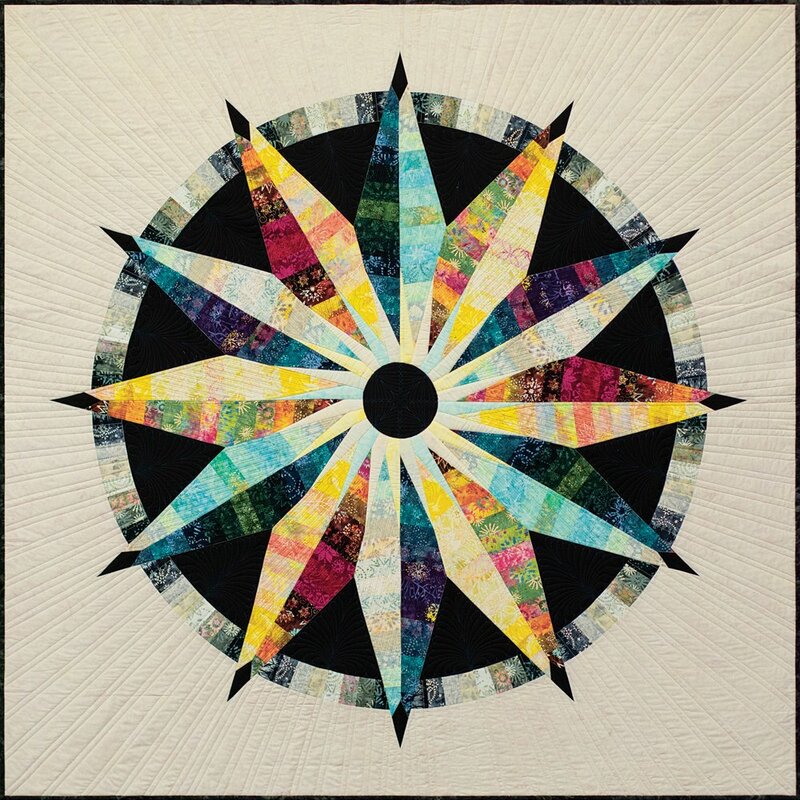 Sundial is the newest paper-pieced pattern by Judy Niemeyer at Quiltworx! 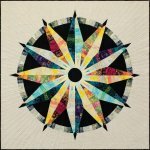 This 68″ x 68″ quilt is a great beginner or weekend quilt. It uses the Sunset Strip pack, a collection of (48) 2.5″ x 42″ strips, presorted and designed by Judy and Judel Niemeyer. With a few additional fabrics, you’ll have this quilt done in no time! We are currently taking preorders while waiting for the patterns to arrive! This kit includes fabrics to make the top and binding PLUS the pattern!